If you also love to collect the daily samples like I do, join me in becoming a CozyCot card member. Hurry! Join now! The earlier you join, the more samples you get to collect. More daily sample for myself, complimentary from the Ninki-O Store. 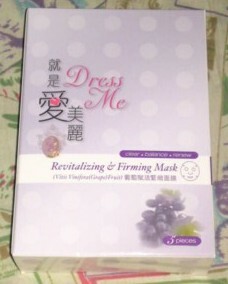 Dropped by Ninki-O store to collect the daily sample and got a box of facial mask for myself. Dropped by Ninki-O store again today to pick up the daily sample for today. What a wonderful day. 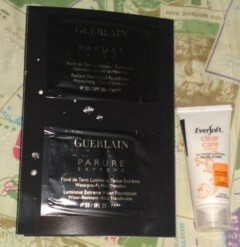 It had been such a long time since my mum last joined me in any beauty event. As she is now wheelbound, I have to be extra care whenever I bring her out. Was so glad she is able to join me in this one. As the store was very packed when we arrived, the gentleman at the entrance was very kind in allowing my mum to sit near the doorway and even offered to served her some food. Both my mum and I were very touched by his kind thoughts. We only stayed for a while and left after paying for my purchase and collected my goodie bags. Not forgetting to collect the daily sample from the Ninki-O store at Orchard Central. 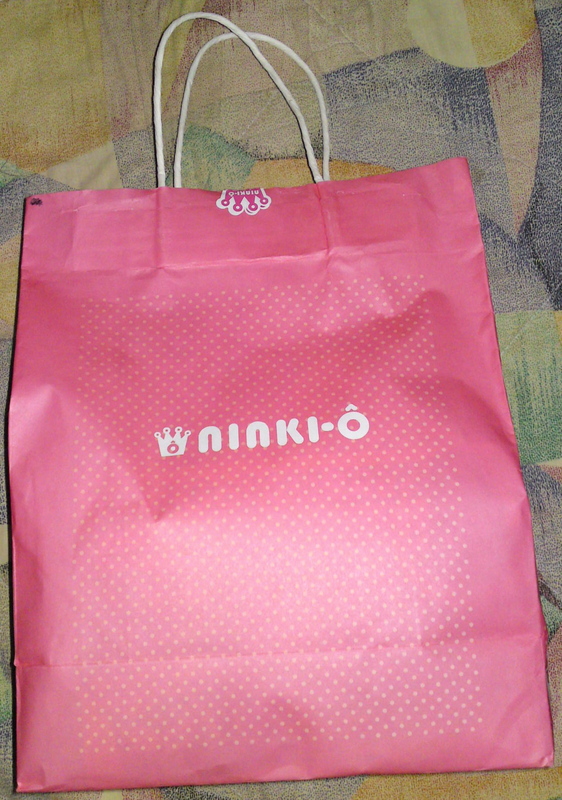 Dropped by Ninki-O store to collect the 2 items that I had bought via the Cozycot cozyspree. 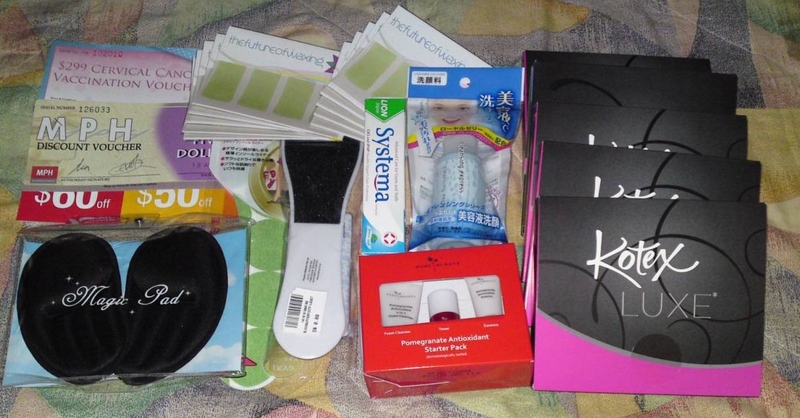 I have bought the mystery bag (Welcome gift) and also the Bioderma travel kit. 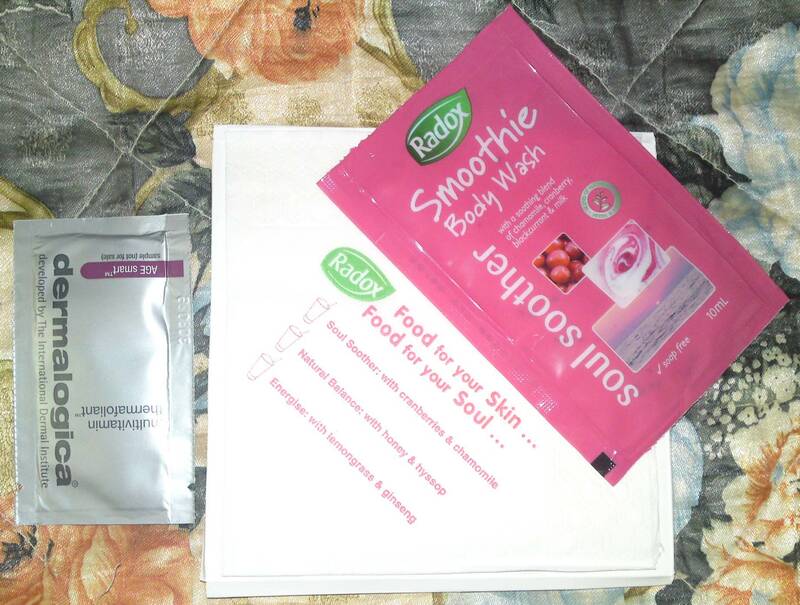 Each mystery bag comes pack in a sweet looking red paper bag and its contents varies one from another. 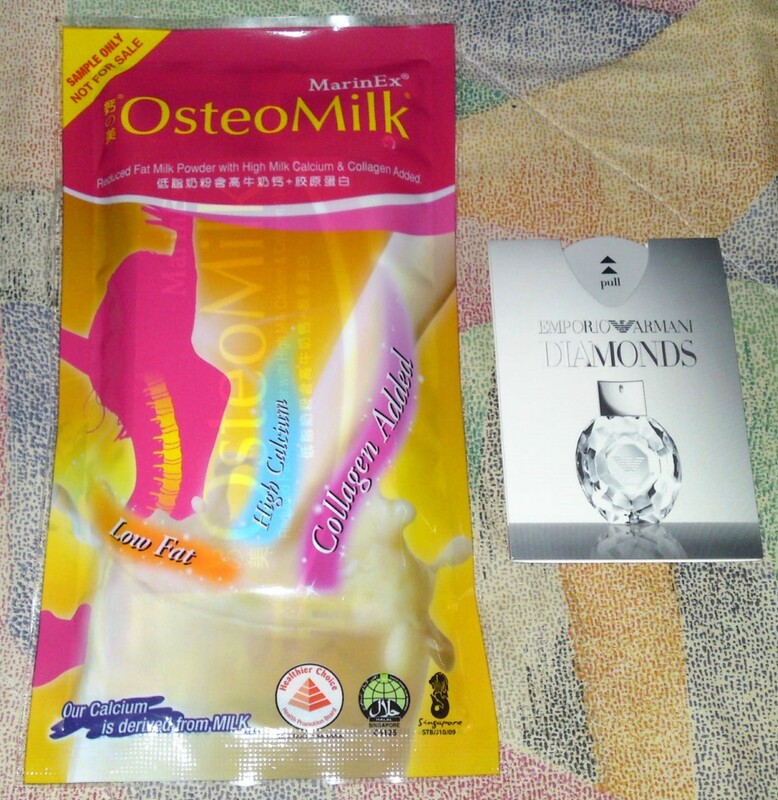 The total value for the items inside the bag cost a minimum of S$20 and to think I only paid SS$5 for it. It was such a great deal. I’m so eager to unwrap my mystery bag. 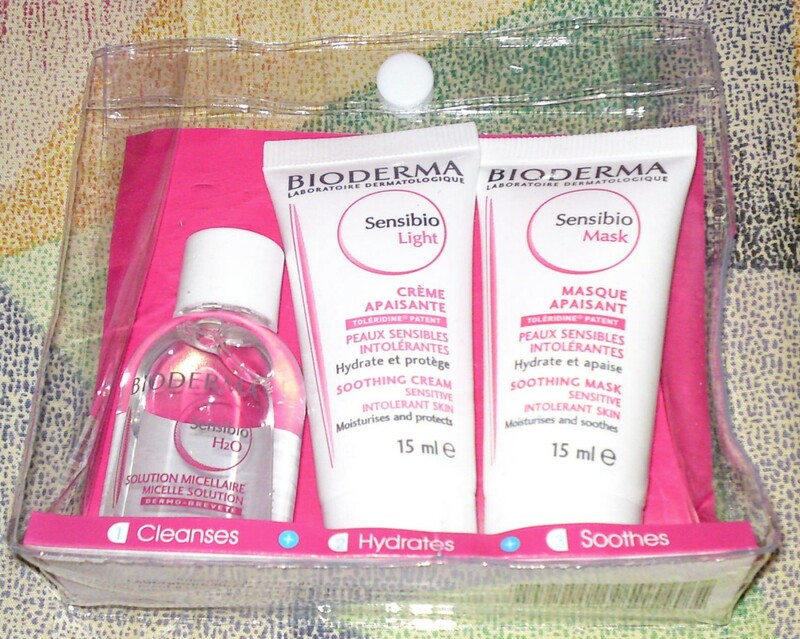 The other item I bought from the spree was a Bioderma Sensiblo travel kit. 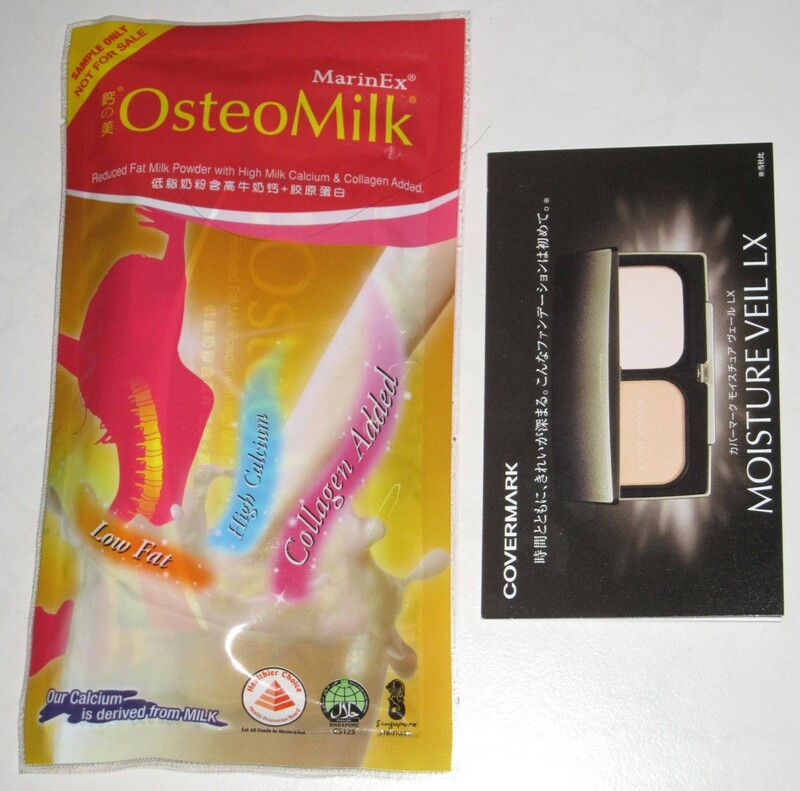 It consist of a Sensiblo h2o 20ml, a Sensiblo Light 15ml and a Sensiblo mask 15ml. 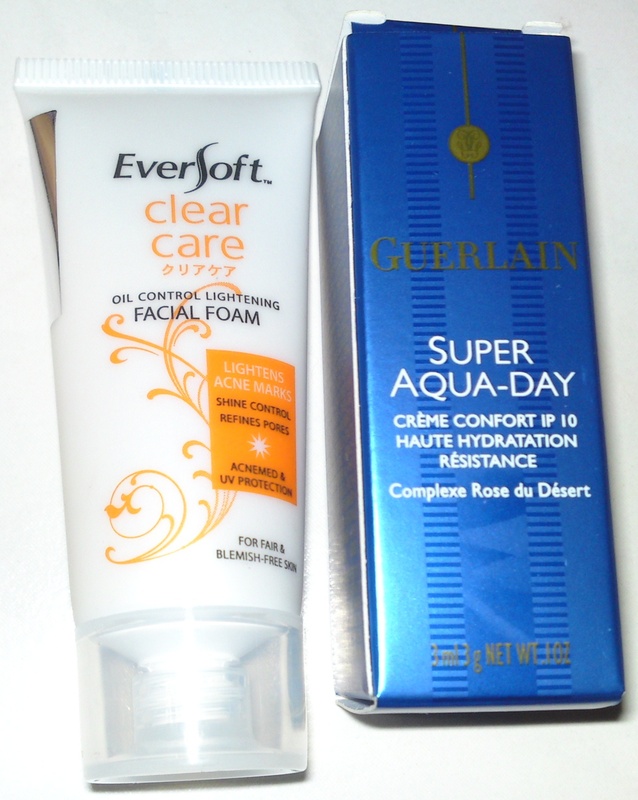 Am so eager to try them out soon. I was about to leave the shop with my goodies and the sweet lady mending the store was kind enough to remind me to collect the daily sample. Thank you so much!